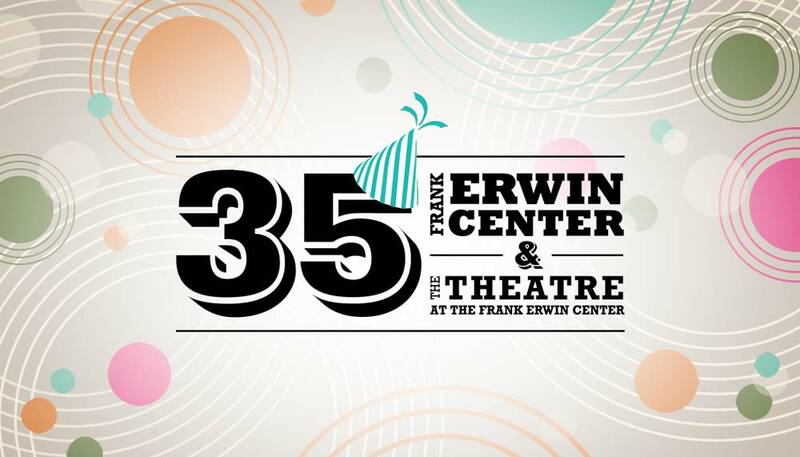 While working at the Frank Erwin Center, I had the opportunity to develop the logo and branding for their 35th anniversary campaign. 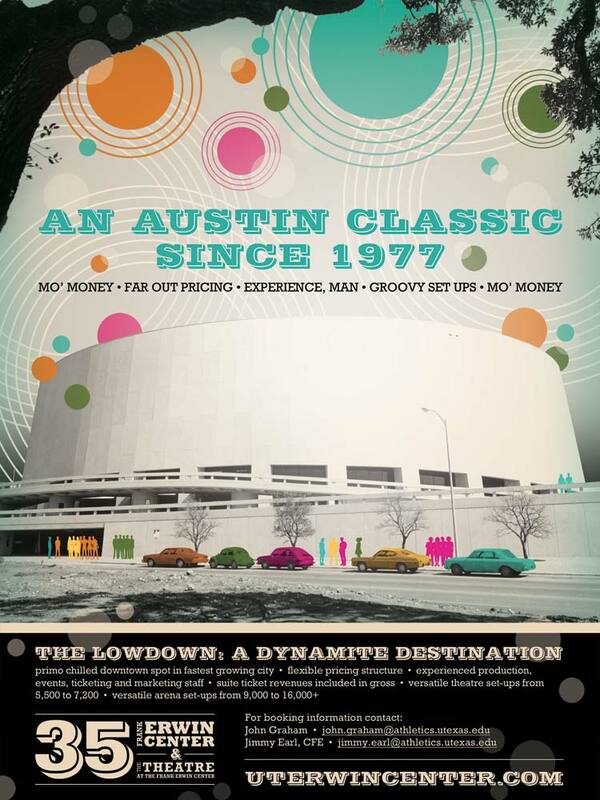 The goal was to create fun celebratory art that reflected both their vintage 70’s roots and their identity as Austin’s central arena in the heart of downtown. I used concentric circles and silhouettes of gathering people to illustrate people drawn together by sound waves. 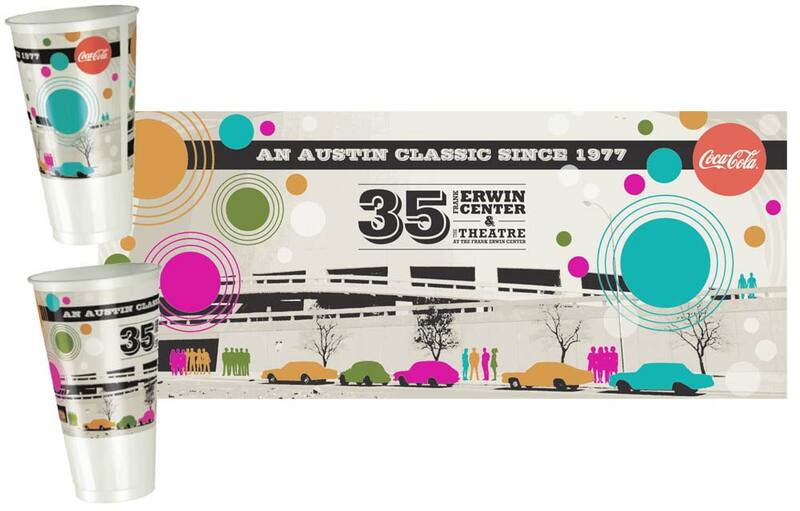 I designed several collateral pieces as a part of this campaign including the ad, souvenir cup, and web banner shown below.